Since 2007, Air 1st has provided exceptional HVAC repair and installation to the communities in and around San Antonio, Texas. We focus on quality service for both residential and commercial properties. Whether you are looking to replace your existing furnace or set up an HVAC system in a multi-family complex, we have the resources and experience to deliver the right solutions for your needs. The team at Air 1st is there when you need them most. Time and time again, our clients continued to be satisfied with our services. And it’s not just our affordable rates. Air 1st provides fast and reliable service. Our technicians are always mindful of your schedule and arrive on time, every time. We promise treat your home or business with the utmost respect. 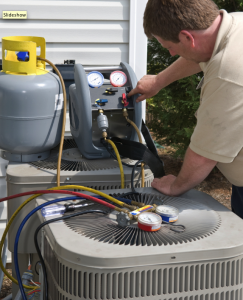 No matter your heating and cooling needs, trust the professionals from Air 1st. We service all brands HVAC systems, executing successful repairs and installations that will last for many years to come. For more information about our services or any other questions, please call us at 210-661-3215 or send us a message.